A spooky Halloween atmosphere in every scary level! All Saints Day is just around the corner, and that means that all kinds of inexplicable and mysterious things can happen! A witch invites you to play Mahjong in an old mansion. Take care though, because this no ordinary house – it’s a magical mansion! The loser will not only be sent away without a treat, they will also lose their life! Are you ready to begin a life-or-death battle of wits and skills with this mighty sorceress? 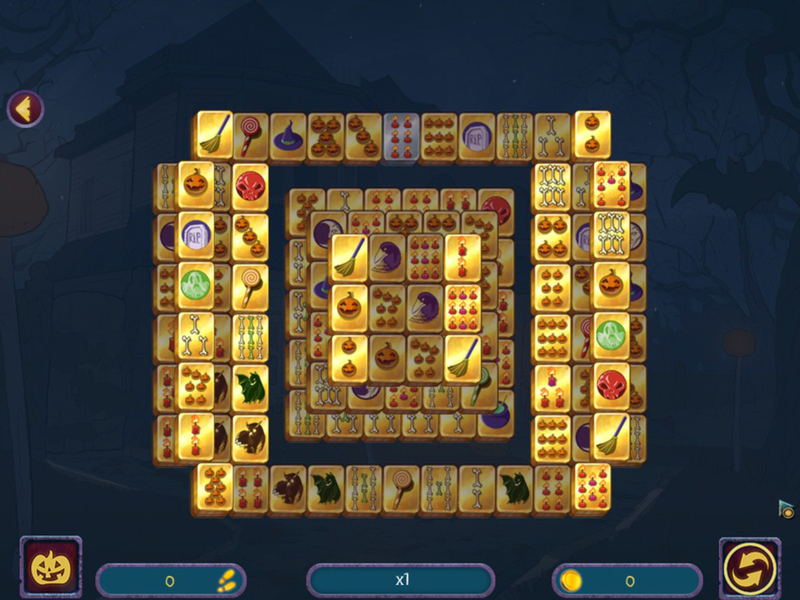 Complete 120 unique Mah-jongg layouts with varying difficulty levels. 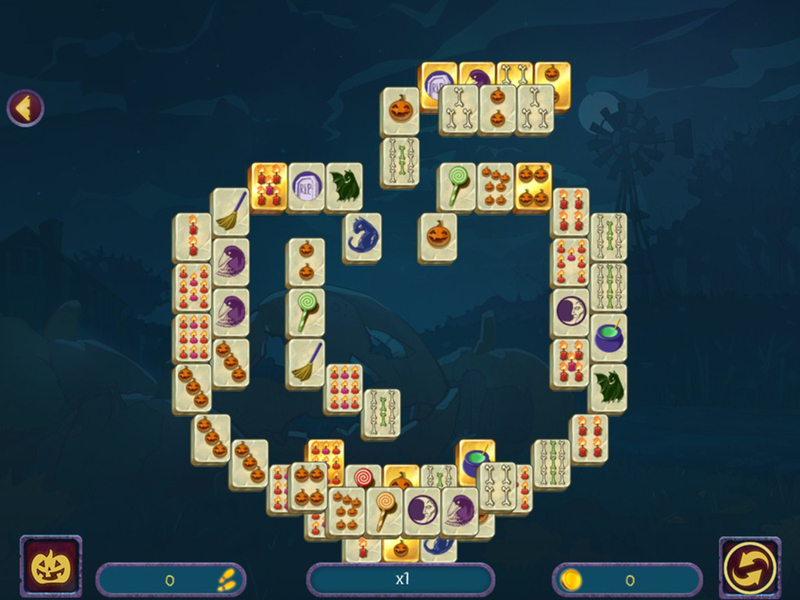 The gameplay of this Mahjong game is also very varied. There are classic levels and blitz speed levels. Play huge XXL levels with more than 200 tiles, or select a super tall level consisting of up to 15 layers! On Halloween night, you have the unique opportunity to visit the house of a real witch and walk around the mansion grounds. 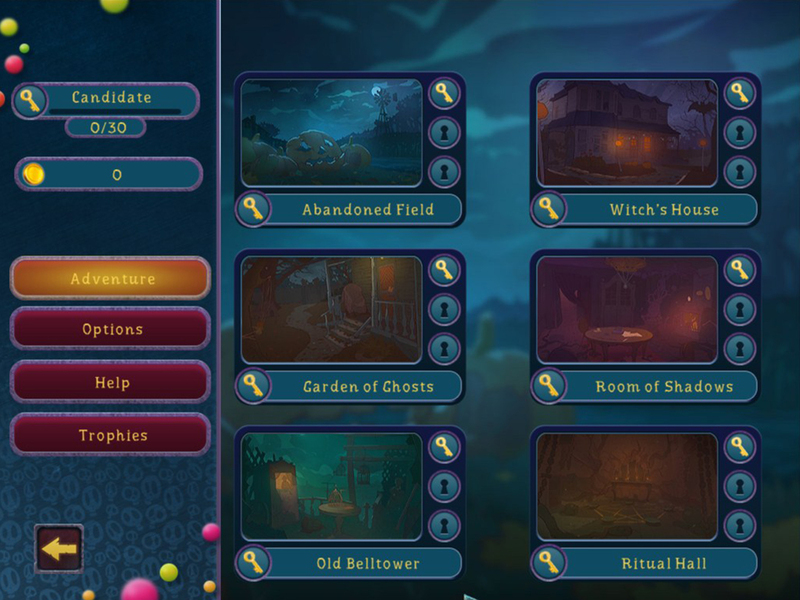 Explore the abandoned field, the garden of ghosts, the room of shadows, and many other mysterious locations. 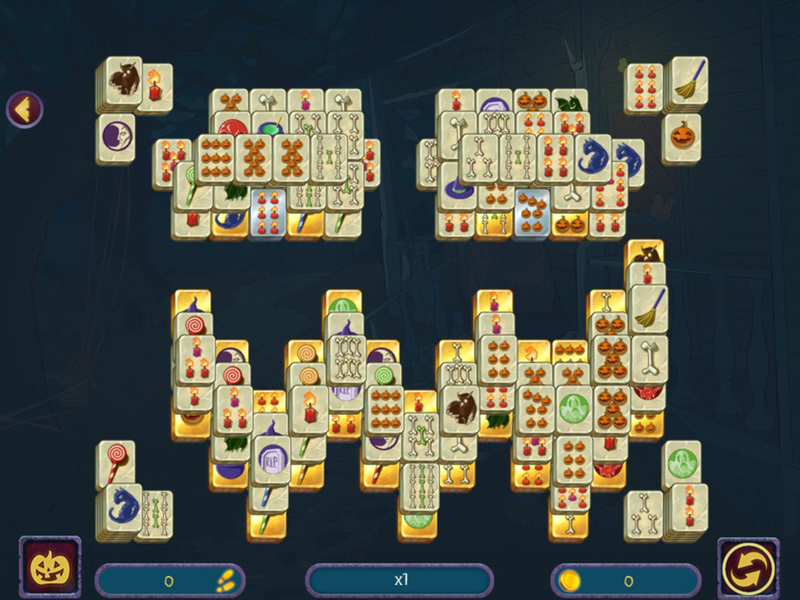 The magic of Halloween Night Mahjong awaits! Trick or treat! Governor of PokerGo back to the roots of this exciting game and play poker against the old western pros! Knight Solitaire 3Win a tournament, defeat a dragon… What other deed should a knight perform? Save the princess in Knight Solitaire 3! Pirate Solitaire 3A card game and an exciting naval battle for pirate treasure in 12 new locations! 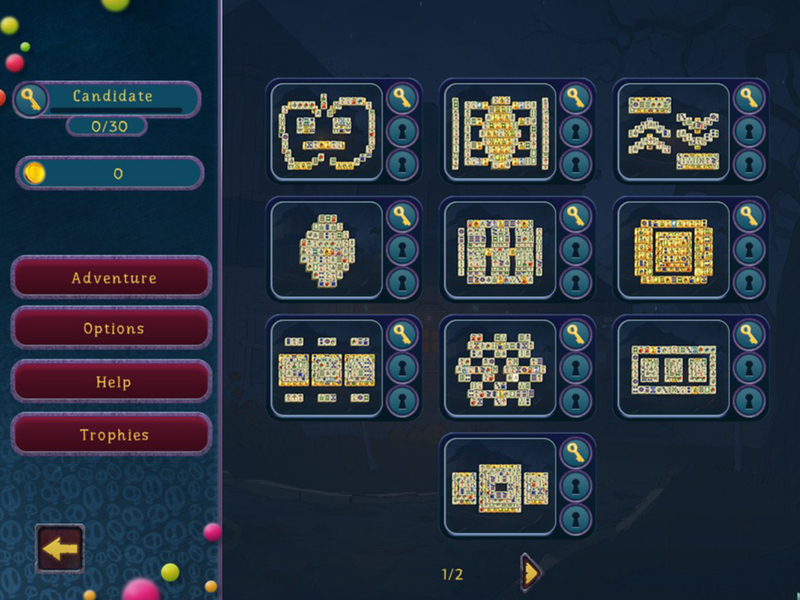 Complete 120 unique levels of solitaire!